Last night we picked up this Stoke City-supporting Dominic boy who is studying politics at UEA and who found me on Facebook and asked if he could hitch a lift to Arsenal. It’s the second time he’s done this and I’m starting to think of him as a good lad (a left winger for a start, I thought they were an extinct species in the under 40s), though he has acquired a habit of ‘waving a flag’ on the pitch at Carrow Road pre-match as part of being in the university Football Supporters Association and, therefore, as a way of seeing Norwich City games for free. The blog has to button its lip on that. 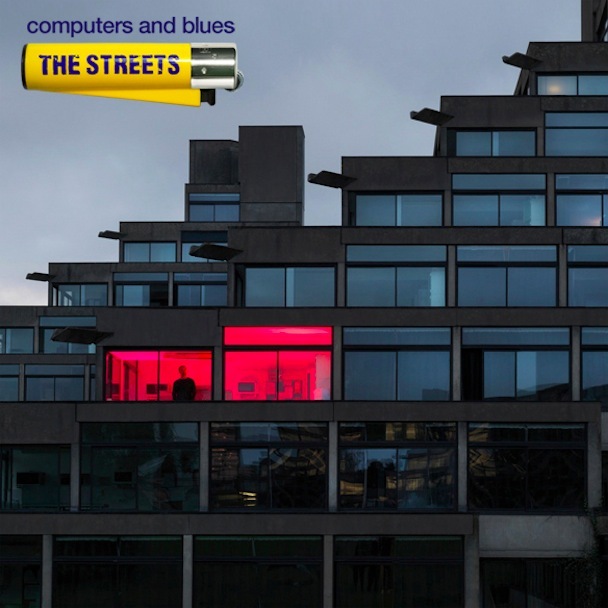 The point of this post, if it has one, is that it that emerged as we were taking him right back to his digs at the Norfolk Terrace ziggurats that this The Streets album cover was done in the very block he lives in and that the pink/red room is the very kitchen he uses to pour his lager over his bowls of cornflakes. They’ll never be able to take that way from him; it’s a nice thing, I think. I’ve never seen the James Brindley High School (neé Chell High School) on an album cover; perhaps I might mention it to the Mogul. This entry was posted in From Working-Class Hero to Absolute Disgrace (A Memoir and tagged James Brindley High School, Sir Denys Lasdun, The Streets, UEA, ziggurats. Bookmark the permalink.